The increase in hard drive sizes never ceases to amaze me. It’s not the vast amount of storage that’s amazing, though, it’s the fact the no matter how big our hard drives get, we still never have quite enough space. I’m not about to tell you to stop watching HD movies just for lack of space, but what about all that junk that accumulates on your hard drives that you don’t really need? What if there were an easy, reliable way to scan your computer for all those unnecessary files and remove them, quickly and all at once? This week, we’re giving away 25 6-month licenses for CleanMyPC. Read on to see what CleanMyPC is all about, and how you can win your own copy. CleanMyPC is the Windows version of CleanMyMac, brought to us by MacPaw. 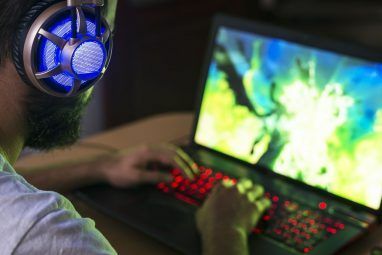 It scans your computer for files you don’t really need, and also offers some useful utilities you can use to keep your PC running efficiently. As always with this type of software, keep an eye on what you’re erasing and on the preferences, so as to not erase something important by mistake. When you launch CleanMyPC, you will be immediately prompted to scan. You can start by running a complete scan which will look for things like caches & logs, help files, extra languages, etc. The scan may take several minutes. If you don’t want to wait for a complete scan, you can choose one category by clicking on it, and perform a scan just for this type of files. You can then view a list of the files CleanMyPC found, and choose what you want to erase. CleanMyPC doesn’t just delete everything automatically, though. As you can see, it found my system restore data, but did not check these files by default, so I would not have lost this data even if I had performed an automatic cleanup. If you run a full scan, you will get an estimate of the wasted space you currently have, and will get the option to clean everything up at once. CleanMyPC will show you exactly which category is being cleaned up, and how much space will be salvaged from each category. Notice that by default, CleanMyPC will clean recycled data on connected devices. It can also automatically empty the recycle bin. Check out the preferences to control these things. CleanMyPC also comes with some handy utilities. Many of these are available on the paid version only (which you can win at the end of this post! ), but you get to try the registry maintenance tool for free. These utilities will also perform a scan, and detect registry issues which you can clean up, all your installed programs which you can uninstall through the program, all your plugins and extensions, and all the files that automatically run on startup. You can then manually decide what you want to do with these findings. For example, you can use the program to remove applications from your autorun list. CleamMyPC also offers a Secure Erase option, to permanently delete files you don’t need anymore. 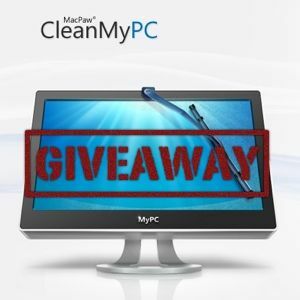 We have 25 copies of CleanMyPC (6-month licenses) to give away, here’s how you can win one. This giveaway begins now and ends Friday, November 11th. The winners will be selected at random and informed via email. MakeUseOf would like to thank MacPaw for their generosity while participating in this giveaway. Interested in sponsoring? We’d love to hear from you. Get in touch with us via email. Im In!! Good luck to all !! Same crappy program that they 'rip' off the nOOBs with on their BS tv commercials! If you really wanted to waste your time .. You can find 'free trials' of this garbage all over the internet and AFTER they "Scan" your dirty little pc .. You can then pay them for what Ccleaner does better and .. for free! So crappy a program that even Torrent sites have very little takers! My hard drive's due for a good spring clean (it's that time of year in my part of the world) so I'll hold on in the hope I get a licence for it. Thanks!! Awesome! This would be great! The code is on their facebook page...under the giveaway codes section. There´s no giveaway code on the facebook page. I couldn´t figure it out. It doesn´t seem to be as easy as the listed words plus i tried those that are listed on facebook. Go update your facebook page! Entered... Thanks... Are you planning any giveaways fro CleanMyMac any time soon ! Have Tweeted and Facebook'd as well ! where did you find it devin?